Do you want to give your car a fresh look? Paying for a new paint job for your vehicle might be exciting, but you should always consider some factors before doing so. Remember that repainting your car will cost you both time and money. It’s best to understand the painting process first before driving your car into the detailing shop. This way, you’ll know what the shop will do to your vehicle and what you need to avoid. Painting a car isn’t an overnight task. It will take several days before the paint job is finished and the chemicals are settled. This means that your car will be held in the auto body shop. It will be longer if your car’s paint is already old and mired with oxidation, fading, and chipping. The new layer of paint can’t simply be added to this condition. More days will be needed to remove the old paint which also means you’ll be charged extra. If you think repainting will remove the ugly dents and dings, you’ll have to rethink your decision. Sometimes, new paint can highlight the problems even more. Damage like rust spots, holes, gouges, dents, pits, and scratches will still be there even after fresh paint is applied. It’s best to ask for a holistic repair before applying the fresh paint. This way, your car will look good as new. If you’re planning to sell your old car, repainting will be an excellent investment. It will directly increase the price of your vehicle in the market, especially if the small damage is also fixed in the process. However, if your car is more than a decade old, you should consider if repainting will yield good profit. 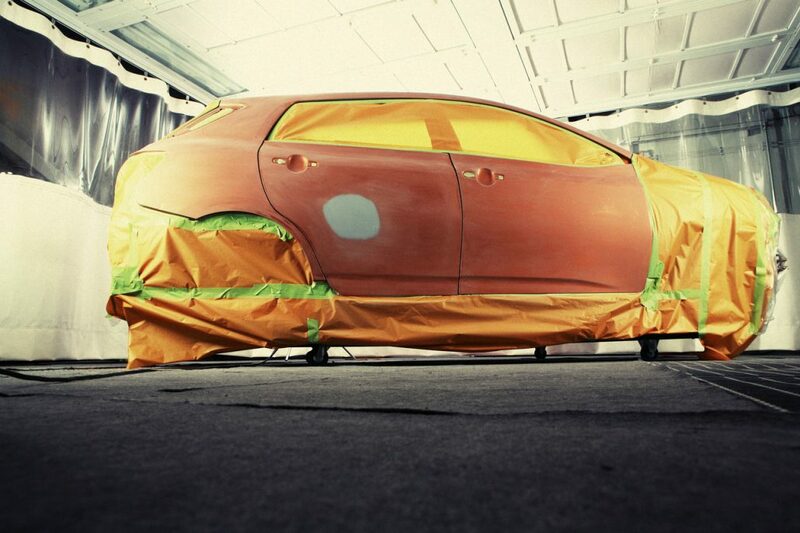 In case your car is already in bad condition, repainting it may not be a profitable move. It might be best to sell it rather than spending your money on haphazard painting. Repainting won’t just include the exterior of your car. Take note that parts your vehicle will be removed for separate treating and painting. So if you’re driving your car into the auto body shop, make sure that you’ve removed all your belongings inside. Also, look for shops that are knowledgeable in assembling car parts. This is to ensure that your vehicle will be returned in good condition. If you are on a budget and planning to file for an insurance claim, you should remember that the cost of repainting may vary per shop. Also, the price will depend on the prep work that the shop will have to do before applying the fresh paint. If your car’s paint is in a battered condition, expect that it will cost more than painting a new car. When asking for the exact price, make sure that it covers everything including the final clear coat. Repainting is an investment and you’d want the finished product to be worth the bucks.